Deputy Governor Timothy Lane discusses the benefits and challenges of international capital mobility. Senior Deputy Governor Carolyn Wilkins discusses the benefits and risks of e-money - including cryptocurrencies - and the Bank of Canada’s role. 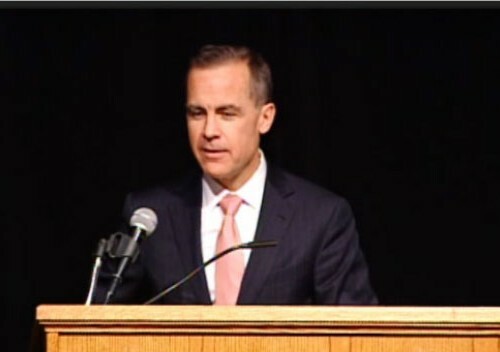 Exporting in a Post-Crisis World - Governor Mark Carney speaks to Kitchener-Waterloo Chamber of Commerce. Governor Mark Carney discusses why Canada’s exports are lagging and what can be done to respond to the underlying challenges. The strengths of the twin cities - in research, advanced manufacturing, and information technology, among other sectors - are well known. Less well known, perhaps, is the region's success in responding effectively to changes in the world economy.